Revealed through a filing with the US Securities and Exchange Commission, cryptocurrency startup TokenPay is entering the lingerie business. Filed on Wednesday, the Swiss startup spent $1.3 million buying a 6% stake in Naked Brand Group (NAKD), an Australian lingerie company best known for supermodel Hedi Klum’s fashion line. TokenPay’s Derek Capo told CoinDesk the move forms part of the business’s broader diversification strategy following a successful token sale in December 2017 that netted 2,000 BTC, or around $20 million. Capo explained that spending the token sale on equity investments has been a hedge against crypto market volatility. However, don’t expect to be able to pay for Klum’s lingerie with TokenPay soon, it will take at least until 2020 before that happens. “They [NAKD] also mentioned they are interested in working with a blockchain company for logistics. 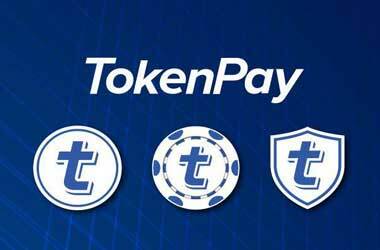 We’re interested in them accepting TokenPay’s merchant services platform so that they can accept crypto across all of their brands,” Capo said. This would allow private purchases of lingerie using TokenPay’s native cryptocurrency, TPAY as it utilizes the Tor network to hide users’ IP addresses.